“If we had guns that shot chocolate, not only would our country be safer, it would be happier. 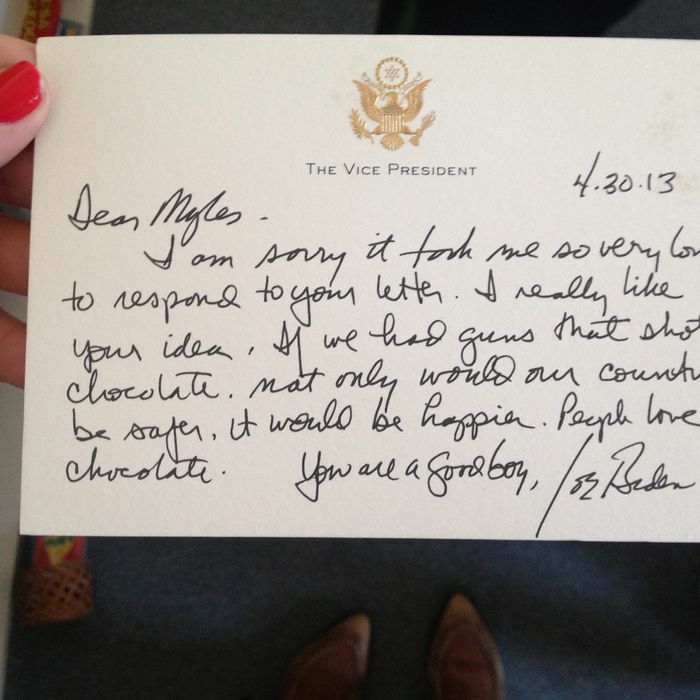 People love chocolate.” —Joe Biden, April 30, 2013. Biden’s reasoning seems flawed here. People like eating chocolate, not getting shot with it. A chocolate bullet, though admittedly less lethal than standard ammunition, would probably still hurt like a mofo. We deem Biden’s statement HALF TRUE. Joe Biden, you’ve been Truth-Bombed.